For all C63 AMG variations, our long tube, stainless steel tubular exhaust headers and downpipes are available in both LHD and RHD versions. Down pipes are available with or without catalysts. 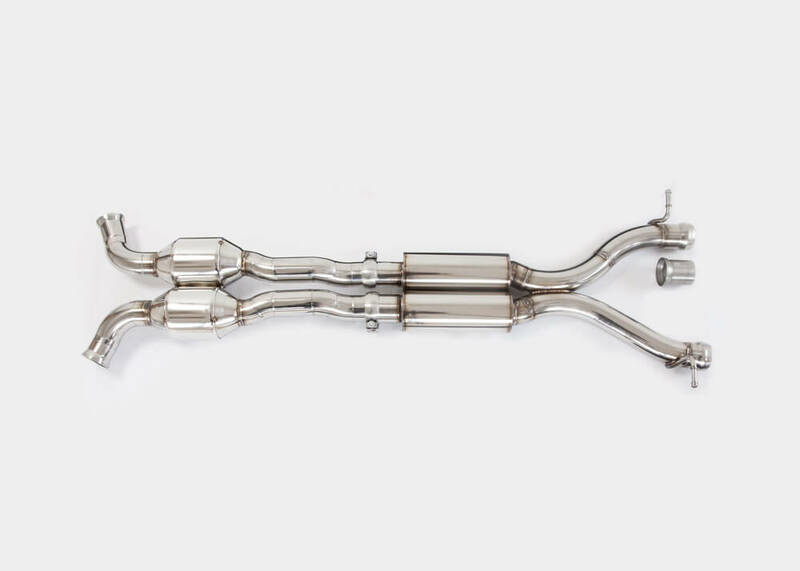 Our mid-muffler section features flow through mufflers, with resonator or X-pipe. Partial or complete system can be configured for a sound level that suits your preference.